As an optician, you're the last person that a patient usually interacts with in a practice. Which also means that the patient's time with you could be the most memorable once they leave the office. So when patients get handed off to you it's important that you have the tools and resources available to make their time in the dispensary go by quick and painless, and have them walking out the door after ordering the perfect frames. 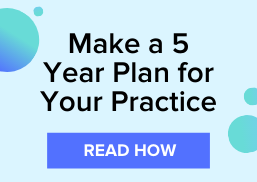 Having a practice management and EHR system that keeps the entire practice working off of one smooth workflow will help make things easier for you in the dispensary. Let's take a look at a few things most opticians love about Uprise because if makes their jobs so much easier. Uprise isn't made just for ODs. On the home screen you'll be able to view the Optical Dashboard that shows the current status of jobs in process and jobs waiting for pick up, rather than having to look into each order independently. Having a summary of all the orders out there is a much easier way to stay on top of all your jobs. The more manual data entry needed to complete an order, the greater the chances are for errors. When an OD performs a contact refraction, the diameter and base curve prepopulate based on what's available with the specific product for the patient. On top of that, creating an Rx order is just as simple since the prescription comes over from the OD electronically, and all that is left to complete is frame styling. The Frames Data integration with Uprise is a great tool for opticians. You'll get a direct connection to the Frames Data database so your frame information is automatically updated in your system every day. You can also document the frames you carry in your inventory during set up and custom frame catalogs will be imported into your system with no manual entry required. The optician software gives you the ability to import and duplicate prior Rx orders, or you can import the frame and lens type into a new Rx. Sending an order to the lab is a matter of pressing a button. And, after you submit your order, you shouldn't have to pick up the phone to call the lab at any point. You'll be able to see everything you need in the order history, and you'll be able to track jobs at each stage in the lab's process all from within Uprise. When the job comes back from the lab, the next steps in the workflow to receive, inspect, notify the patient, and dispense are all documented in the patient's order with a single click. You can easily see the real time quantiy on hand in your dispensary that is updated as you receieve new products and make frame sales. It's automatically updated for you! Want to learn more about Uprise and how it could help your entire practice?